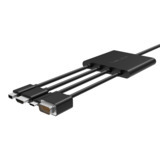 This streamlined digital multiport AV adapter makes it easy to connect a laptop or other device to your HDMI projector or monitor. 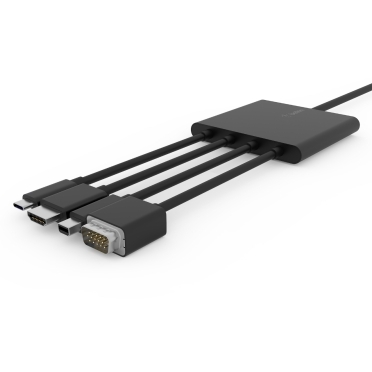 One end of the adapter features four popular output connectors – Mini DisplayPort, USB-C™, HDMI and VGA for broad compatibility across many devices. 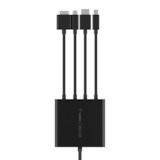 The other end of the adapter features an HDMI connector to input content to your projector or display. 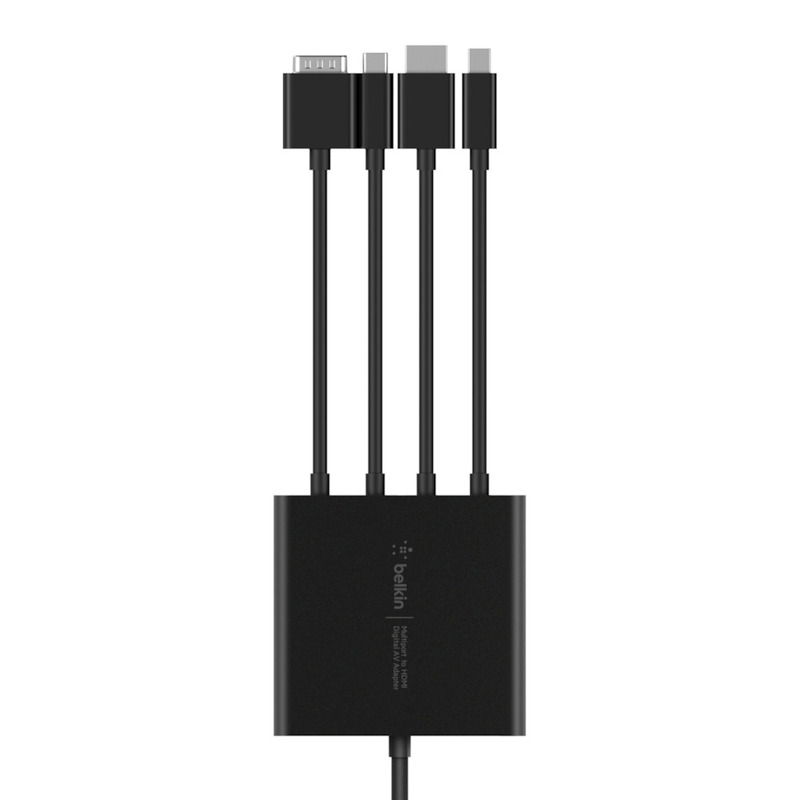 This multiport digital AV adapter eliminates the need for multiple single-point adapters that cause clutter and are easily misplaced. 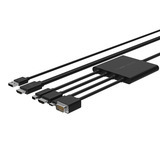 This neat solution remains connected to the projector/display to eliminate lengthy set-up times or the need for outside help from the IT team. 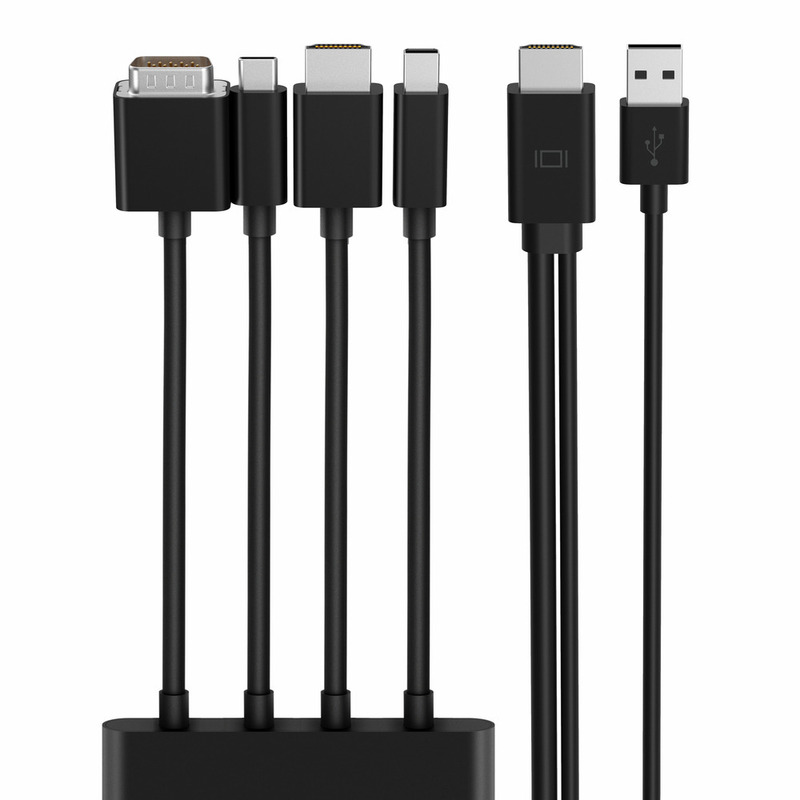 Magnetized cable heads ensure AV installations in meeting rooms, auditoriums, classrooms or exhibition centers stay organized and functional. 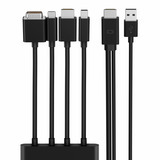 Clean, plug-and-play operation functions without additional software downloads, providing added security for all connected devices. This digital AV adapter supports video resolutions up to Ultra HD 4K and is backwards compatible for lower resolutions for an enhanced video experience. It also supports audio for all audio-enabled inputs – Mini DisplayPort, USB-C and HDMI (VGA does not support audio). 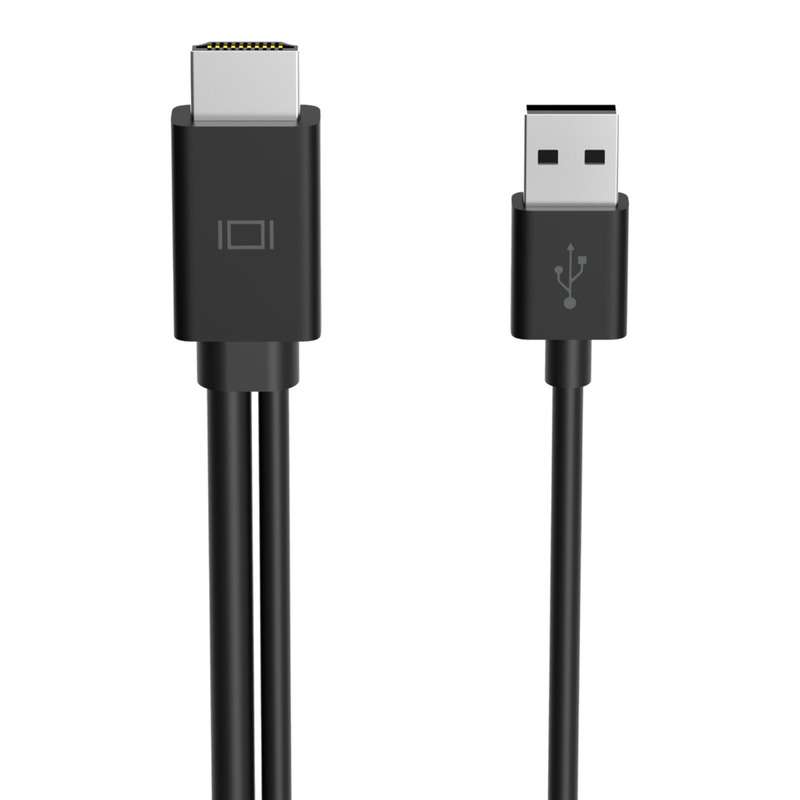 The advanced circuitry within the digital AV adapter ensures high-quality performance across all inputs. 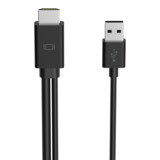 It is powered by an attached USB-A cable which connects conveniently to your HDMI projector/monitor or a nearby power source for a seamless experience.